David Eustace and training partner Ciaron Maher will send out two-year-old Igniting at Rosehill. A week after Dubious finished runner-up in the Magic Millions Classic, trainers Ciaron Maher and David Eustace will saddle up a two-year-old they think is just as good. Igniting will be given the chance to prove his autumn carnival credentials in the Countdown To Golden Slipper Sprint (1100m) at Rosehill on Saturday after he put the writing on the wall at his Randwick debut last month. The youngster jumped well but was snagged back from a wide draw and caught the eye with a fast-finishing second to Movie Role with subsequent Magic Millions Classic placegetter Hightail third. The stable has a good measuring stick in Breeders’ Plate winner Dubious and Eustace regards Igniting among their better two-year-olds. “Yes, he’s right up there,” Eustace said. “It was a really good first run and he shouldn’t be too far away. Maher and Eustace have had an increasing presence in Sydney over the past 12 months and this month announced the opening of a permanent base at Warwick Farm. That foray got off to a perfect start when promising three-year-old Star Fall scored a dominant win at Randwick last Saturday, booking a spot on his trainers’ Sydney autumn carnival team. There are also high aspirations for Dubious, who will have a short freshen-up at Aquis Farm before he tackles either the Todman or Skyline Stakes en route to the Golden Slipper. While Igniting has shown the stable as much talent as Dubious on the training track, he still has to earn his place in the better two-year-old races. The colt is a $3.20 chance to break his maiden on Saturday with his toughest competition expected to come from Inglis Nursery winner Accession who just shaded Igniting for favouritism at $3 on Thursday. 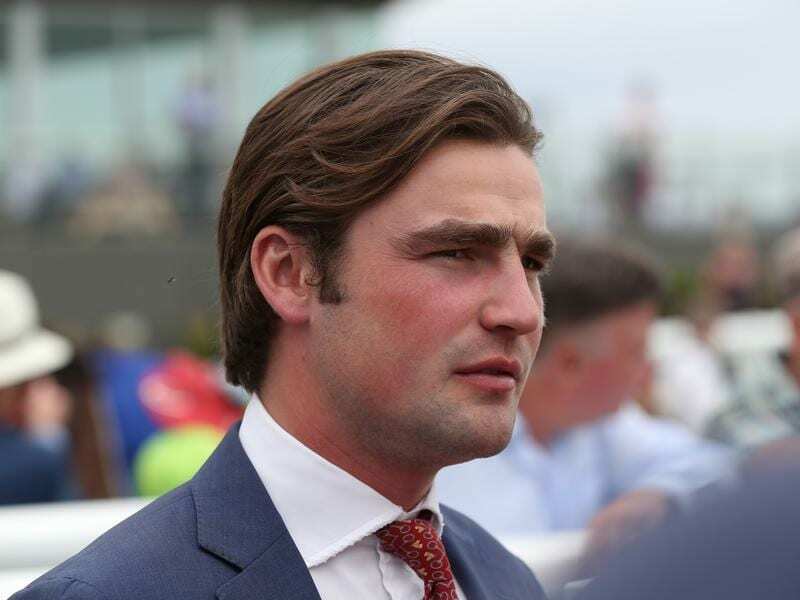 Maher and Eustace are also expected to have a strong hand in the Eric ‘Mo’ Conlan Handicap (1200m) with the consistent All Too Royal opening favourite. The four-year-old was off the scene for more than a year before returning in the spring with two successive wins in Victoria. Maher and Eustace brought him to Sydney where he finished runner-up twice then landed his fourth career win from nine starts at Canterbury earlier this month. “He’s stringing a decent record together and hopefully he’ll continue to improve,” Eustace said.